Coconut milk is loaded with beneficial fats, nutrients and minerals. Many commercial beauty products use coconut milk as an ingredient due to its natural ability to calm and hydrate irritated skin. You'll find canned coconut milk at most grocery stores. Purchase unsweetened coconut milk to use for your skin, but buy organic coconut milk whenever possible. Natural-Home Remedies suggests using coconut milk to make gentle skin moisturizers at home. Coconut milk has naturally soothing properties that replace moisture in dehydrated skin. Make a skin-moisturizing bath at home by adding a cup of rose petals, half a cup of rose water and a cup of coconut milk to a lukewarm bath. Soak in this bath for 15 minutes to restore moisture to dry skin. Or you can use coconut milk on its own as a skin moisturizer. Rub coconut milk into your skin, and allow it to absorb for 30 minutes to promote healthy skin. Coconut milk is a good ingredient to add to natural, homemade moisturizing masks, according to Natural-Home Remedies. Make a skin mask by combining coconut milk with honey and almond powder to create a thick paste, which you apply to your face and rinse off after 15 minutes. 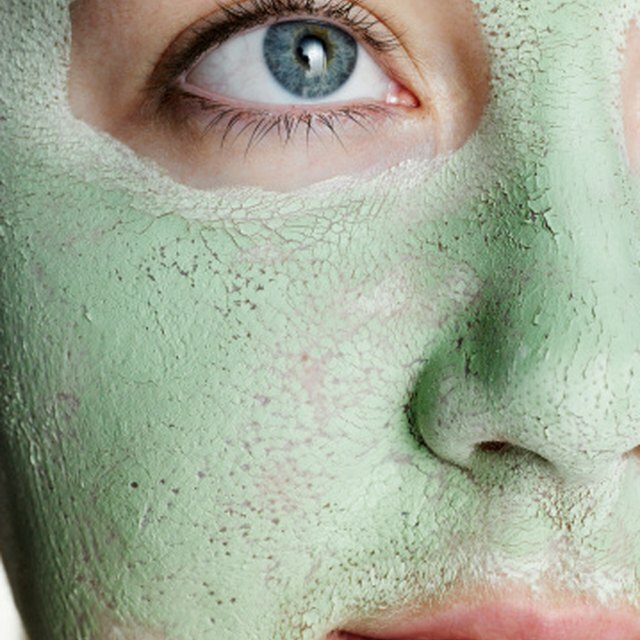 You can also make a mask by soaking half a cup of brown rice in a cup of warm water for an hour, then straining them, and placing the rice in a blender. To the blender, add half a chopped cucumber, a quarter cup of pumpkin puree and 2 teaspoons coconut oil. Blend until smooth, then apply to your face and leave on for 15 minutes before rinsing off. According to OptiDerma, coconut milk can treat a variety of skin ailments when applied topically. Coconut milk's moisturizing properties soothe the symptoms of psoriasis, dermatitis and eczema. It also prevents wrinkles, sagging skin and age spots. The natural fatty acids found in coconut milk make it an excellent topical treatment for dry, irritated skin, according to CareFair.com. These fatty acids allow coconut milk to remove harmful bacteria from your skin without overdrying. Natural-Home Remedies also suggests using plain coconut milk at home to treat sun-damaged skin. You can ease the pain of burns or rashes caused by sun exposure by applying coconut milk topically to the affected areas and leaving it on overnight or bathing in it. If you apply it topically, rinse it off in the morning with cool water. The coconut milk's fats and oils help to reduce redness and restore moisture to sunburned skin. OptiDerma: Is Coconut Milk Healthy? CareFair: What Does Organic Coconut Milk Do for Your Beauty Routine?